We have two tickets to give away to one lucky winner for Ensemble Ériu at the National Concert Hall on 15/11/18 at 1pm. Please note – this is a lunch time concert. Email your answer to nomoreworkhorse@gmail.com, mark the subject line of the mail Ensemble Ériu and include your name and phone number. All entrants must be over 18 and tickets are non-transferable. One entry per person only. Closing date for entries is Friday the 9th of Nov at 1pm. Ensemble Ériu debut at the National Concert Hall, Dublin for an exclusive performance on the 15th of November at 1pm. Previously, the group have performed at high profile festivals such as Body & Soul, Down With Jazz, the Fleadh Ceoil, and Masters of Tradition. In their only live performance of 2018, the TG4 Gradam Comharcheol Award winning group will perform music from all three of their critically-acclaimed albums: Ensemble Ériu, Imbas, and Stargazer. 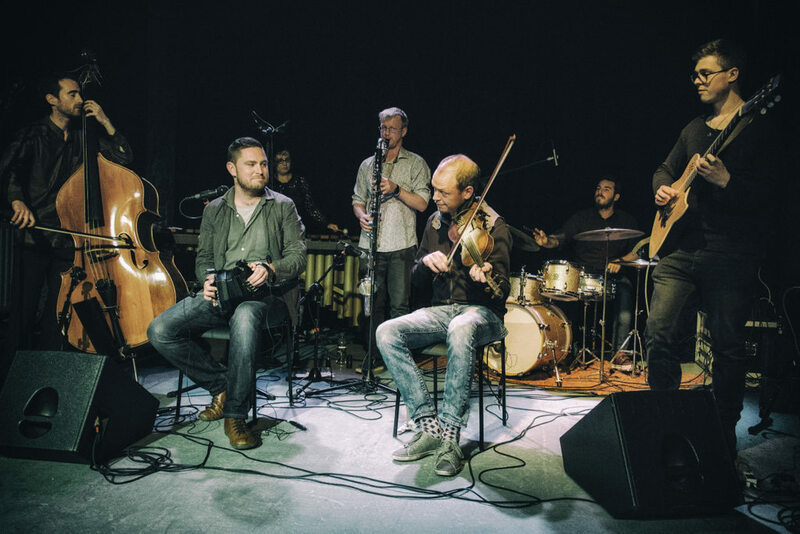 The septet is led by Jack Talty on concertina, Neil O’Loghlen on double bass and flute, with some of Ireland’s most exciting musicians from a range of performance backgrounds in support.